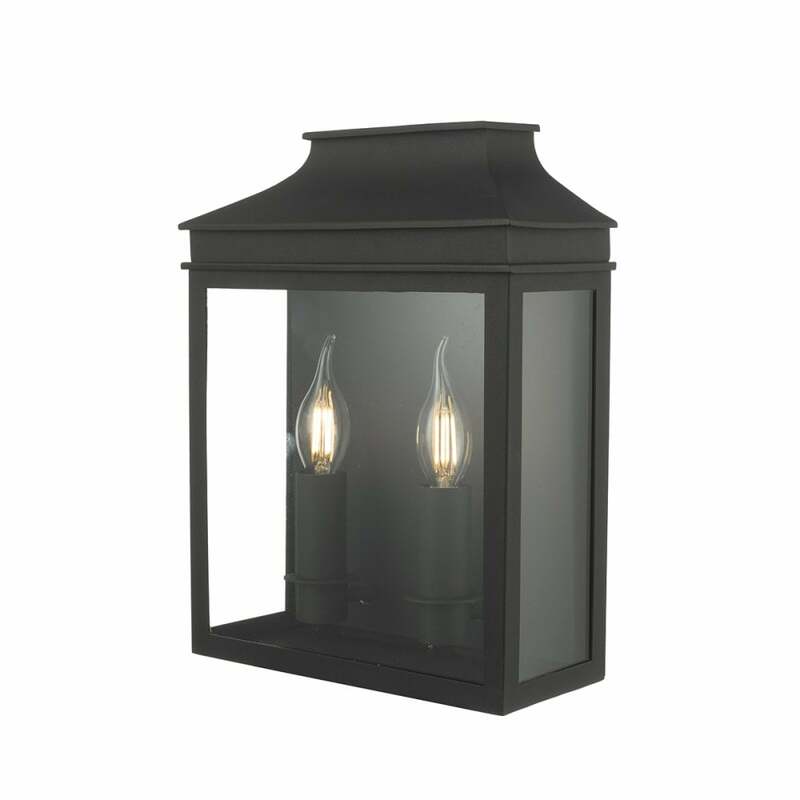 Dar Vapour 2 light outdoor wall fitting with a matt black finish and clear glass panels. This modern take on the traditional coach lantern would nicely adorn any suitable home from a modern property to a period home. The clear glass allows good light output whilst the stylish flush fitting frame ensures maximum style. This product is code is VAP5022.